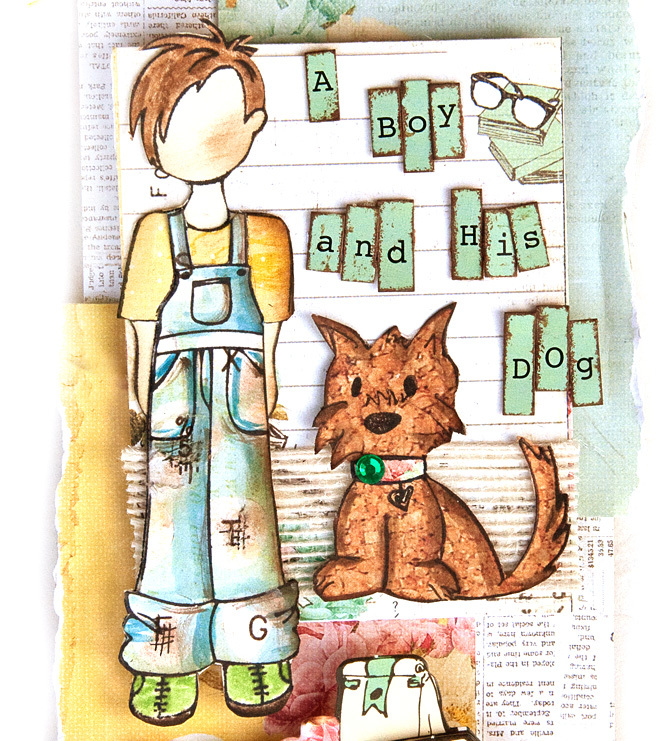 Scrap Escape: Ready for the New Prima Julie Nutting Doll Stamps? 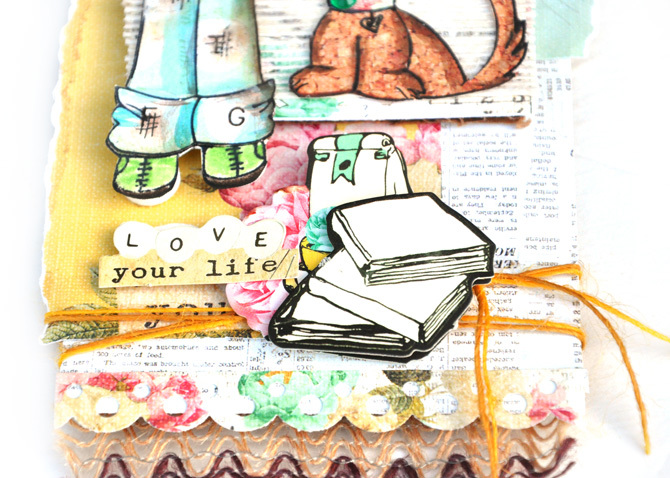 Ready for the New Prima Julie Nutting Doll Stamps? The new boy stamps (four in all) are in and shipping. 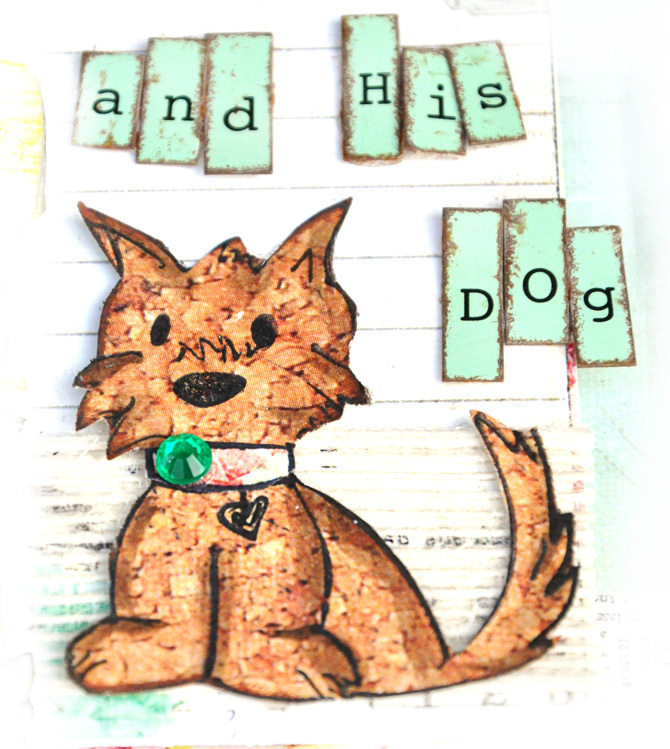 The new Julie Nutting Doll stampss are prefect additions to the family. I couldn't resist playing with darling little Toby. I envisioned Toby getting all dirty while chasing the dog in the yard. 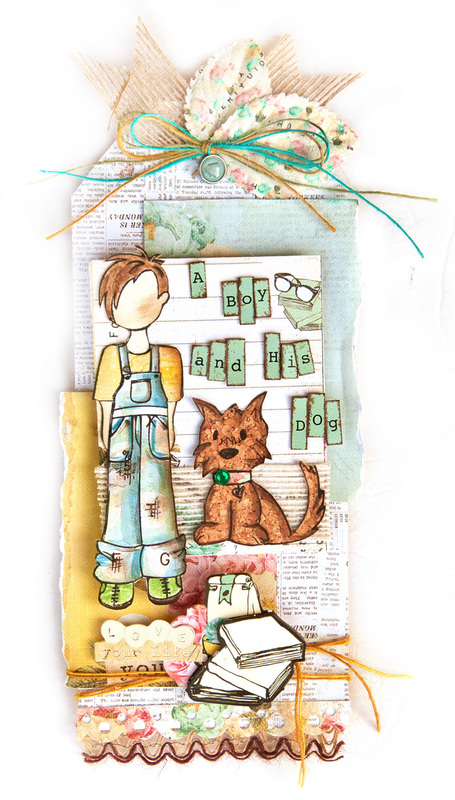 I made my tag using the Coffee Break collection which is fresh and fun feeling - just like sunshine and playing in the yard.